Recommended ships: Ishtar with Osprey Shield Repping. Osprey was only needed for last room. Destroy the Caldari Station (150,000 hp). Mission is flagged complete when the station is destroyed. The station drops a T1 named turret or launcher. Use a Passive Tank and save time by not having to destroy Energy Neutralizer Sentries. Set drones to aggressive for any jamming ships (especially Room 2). 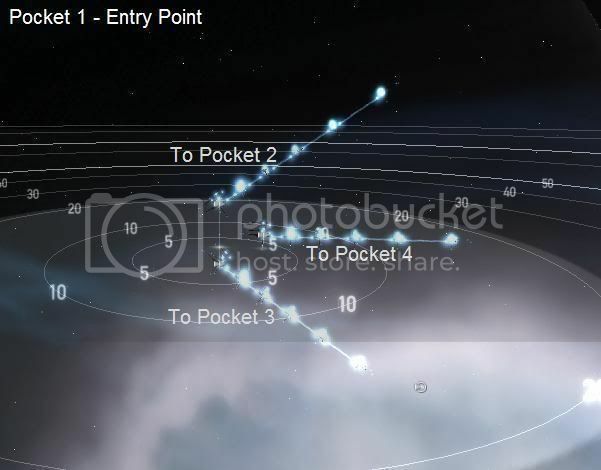 For Pockets 5 & 6, wait until all ships have spawned before bringing in a logistics ship. Suggest using a Drake instead of logistics if not needed. Really speeds up the process.